lon Musk’s idea for the hyperloop, a vacuum-sealed train system capable of traveling up to 700 miles per hour, could completely change the way we move around the world — and some people are so excited by it, they’d rather ride the tubes than go to space. According to a YouGov poll conducted by Liligo, a travel comparison website that provided the results to Inverse exclusively, 17 percent of Americans would choose a one-time trip on the hyperloop over a one-time trip to space. The survey, conducted last month online, asked 1,346 American adults for their views on hyperloop and how it may change their attitudes toward travel. But on the other hand, far more Americans are equally convinced that they’ll be long dead before the technology even becomes a reality. 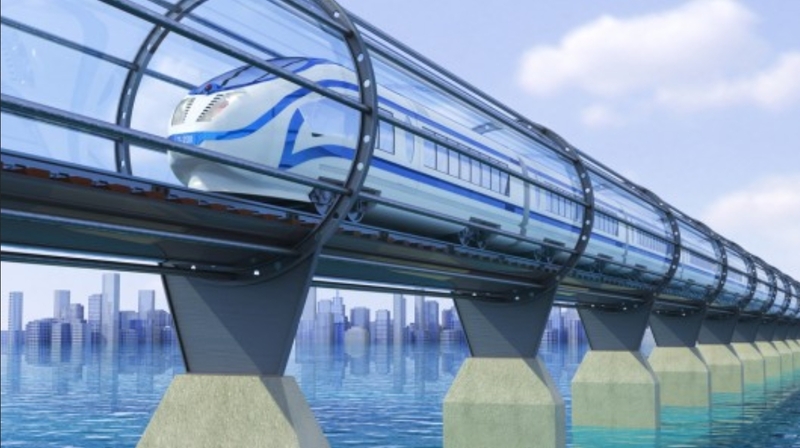 43 percent of Americans surveyed do not think that hyperloop technology will be available in their lifetime. But that doesn’t mean they wouldn’t use it — if the system were in place today, 37 percent of respondents said they would use it, and only eight percent said they would refuse outright. The invention promises to slash travel times and link up the world. One day, a hyperloop could transport passengers from San Francisco to Los Angeles in around 30 minutes, a trip that today takes six hours by car. There are currently no publicly-available hyperloop tracks to ride yet, but companies are working on it. SpaceX has held a pod design competition to see which is the best vehicle for use in the tunnels, while Hyperloop One has built the world’s first full-scale hyperloop test track in the Nevada desert. The latter company has been touring the world touting the benefits of hyperloop to audiences. It’s currently hosting a global design competition to devise a suitable future route. The competition’s 35 semifinalists were announced in January and the finalists are set to be announced in May. The winners will receive a feasibility study to help bring their idea to life, and the company hopes to have three routes in production within the next five years. Although cost may be a concern when compared to traditional flights, it seems that might be less of an issue than expected. The survey found that 62 percent were willing to pay more to travel by hyperloop if it shaved one hour door-to-door off a three-hour plane trip. All told, 24 percent of those surveyed said they were happy to pay greater than $50 and less than $100, while nine percent were happy to spend over $200 if it meant less time on transport. Now all we have to do is live to see it.